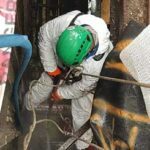 Vert Industries were engaged in the creative process of CFMEU’s new head office located at 540 Elizabeth Street, Melbourne. 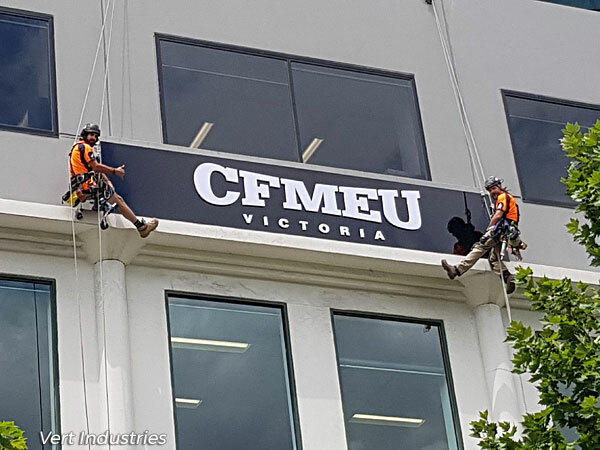 Vert’s abseil team manually installed CFMEU’s signage upon the front facade of the building for all of Elizabeth Street to see. 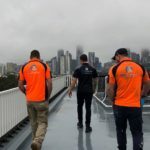 Vert Industries feel very honoured to work alongside CFMEU, Australia’s leading union.